If your paper is accepted, you will be asked to make a presentation at the Colloquium. You will then need to submit a formal abstract (you may use your summary as your abstract). These abstracts, of 200-500 words, due 15th February 2006, will be printed in the colloquium programme, which all participants will receive at registration, all abstracts must be in English. All presentations will be given in English and should not exceed 30 minutes; there will be a 10 minutes period for questions following each presentation. Summaries, abstracts and enquiries maybe emailed to: tatiane@origem.com.br. Ouro Preto is one of the most important colonial towns in Brazil. With its urban center in baroque style kept as in the 18th Century, the town shows along its narrow and steep streets, magnificent examples of civil and sacred architecture. In April, 21st 1981, Ouro Preto was the first city in Brazil to be given the title of World Heritage Site, awarded by UNESCO. The Inconfidência Museum is the most important in Ouro Preto and it is considered to be one of the most interesting of Brazil for its historic heritage of the biggest political independence movement ever in the country, known as Inconfidência Mineira, occurred in the 18th Century. 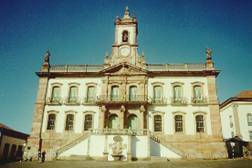 Ouro Preto Federal University (UFOP) was established as Public Law Foundation in August 21st., 1969, incorporating two centenary institutions of higher education: the School of Pharmacy and the School of Mining. As part of its expansion, the University created academic units and implemented courses always joining tradition and modernity. The university offers 28 undergraduate courses, and counts with 22 departments and 7 academic units, among which the Open and Distance Learning Center, that offers the course of Teaching Licensure in Basic Education -Initial Years and the Specialization course- Academic Advisor Majoring for Open and Distance Education, operating in 13 points where covenant with city halls are maintained. The Institution counts with nine libraries, distributed within the four campuses. There are 62 thousand titles and 101.688 volumes, except the ones from the Open and Distance Learning Center. Besides those, there is the Rare Books Library, situated in the School of Mining at the Historic Center that comprises a collection of 20 thousand volumes. Among them, there are books from the 18th. and 19th. Century that belonged to foreigner researchers and naturalists that studied in Brazil. Nowadays, the Library carries on a project on book restoration, sponsored by Açominas. The Office of the Dean of Undergraduate Studies, Researches, Graduate Studies and of Extension coordinates the academic activities. The academic staff consists of 335 teachers with high level of qualification, among which 74% are doctors and 13% are masters. The administrative body counts with 641 employees, among which 111 with graduate level, 319 with secondary level and 211 with support level. Regarding the Student Body, there are 8.289 students in undergraduate level, among which 3.617 are attending the Open and Distance Learning. On the graduate level, 250 students are undertaking the master?s degree, 52 are doctoral level and 167 on specialization. 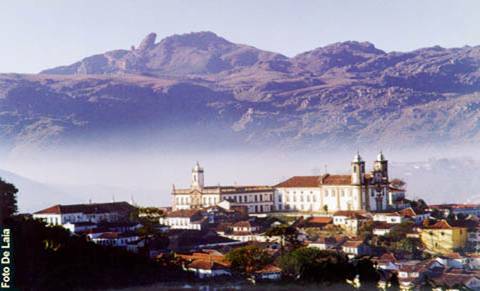 If you want to know something about Ouro Preto, take a look at Ouro Preto Official Tourism Site. Previous colloquia were in Oxford, Philadelphia, Marburg, Barcelona, Fribourg, Firenze, Leiden (twice) and London.